The faculty of Tourism and Hotel Management organized a symposium entitled as ” Good Nutrition and Health Food” on Tuesday 13/12/2016. 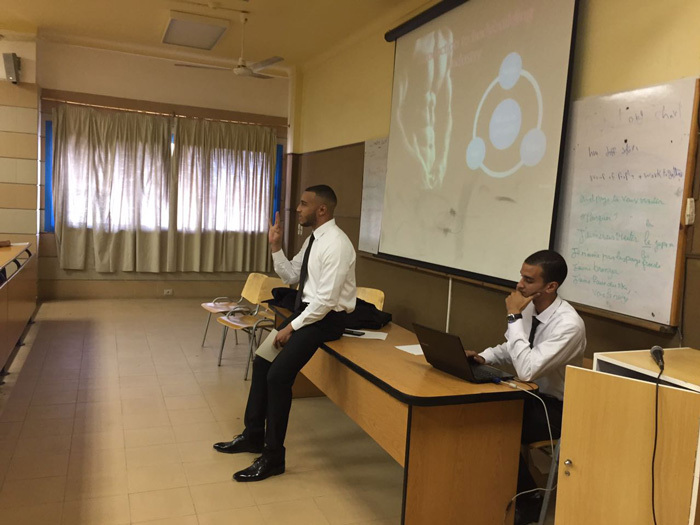 The symposium was given by the students Ahmed Mansour and Ahmed Tareq in the presence of some students from the faculty of Tourism and Hotel Management and other faculties as well. 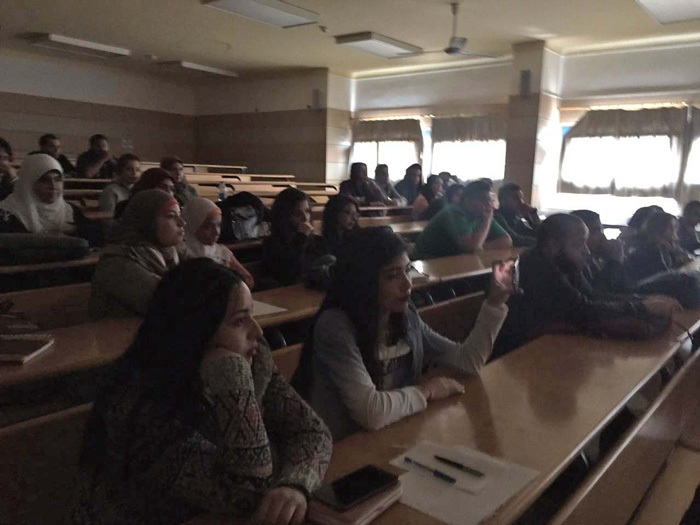 Several topics related to good health and nutrition were discussed during the symposium such as types of health food, balanced diet and gym exercises. 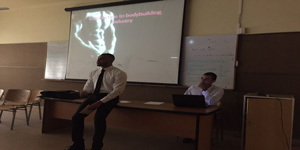 The benefits and risks of taking dietary supplements as well as how to become your own personal trainer were also among the topics that were discussed in the symposium. By the end of the symposium, some informative materials about good diets and calories of common foods were distributed among the students.